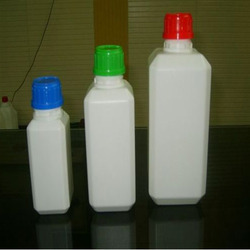 We are a leading Manufacturer of hdpe containers for packaging industry and bathroom cleaner hdpe bottle from Mumbai, India. With the help of our state-of-the-art infrastructure unit, we are able to manufacture, trade, distribute and supply the superlative quality of HDPE Containers for Packaging Industry. Manufactured from premium quality raw material and cutting edge technology, these containers are in sync with industry norms. The offered containers are available in various sizes and specifications to cater the demands of the clients. Furthermore, these containers are examined by our quality controllers to ensure the quality. 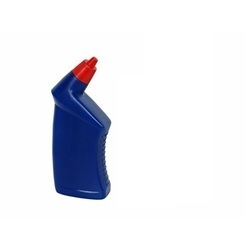 We offer premium quality Toilet Cleaner HDPE Containers. These are formulated to clean the toilet bowl while ensuring killing germs present in it. Harpic is easy to use toilet cleaner that removes soiling and limescale from porcelain and enamel surfaces. It is free from any enzymes and other petroleum based ingredients.